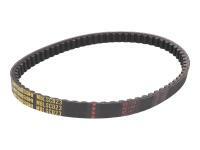 Top quality Mitsuboshi drive belt for high performance engines and compact drive systems. Reinforced side walls for better power transfer, and the materials make it more oil-resistant and less sensitive to heat build-up. 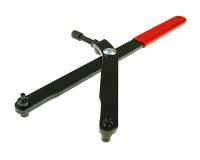 Suitable for Piaggio Sfera 125cc (1995-1997) and Vespa ET4 125cc (1996-1999) scooters only.